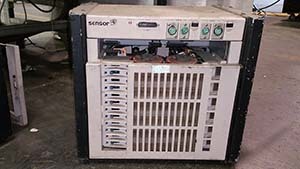 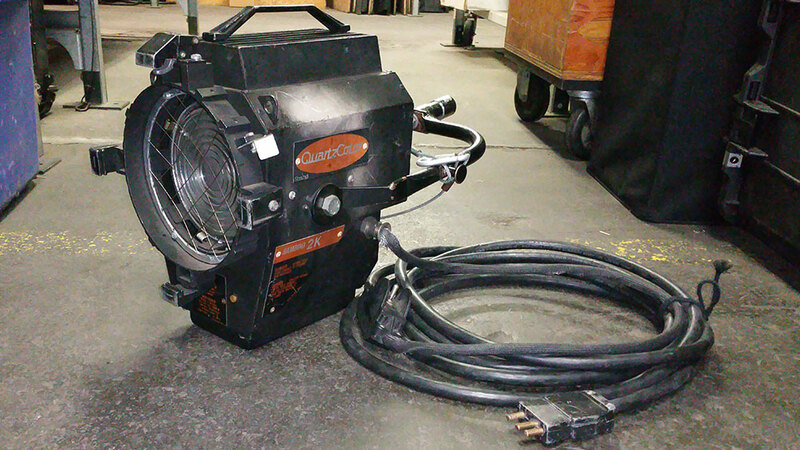 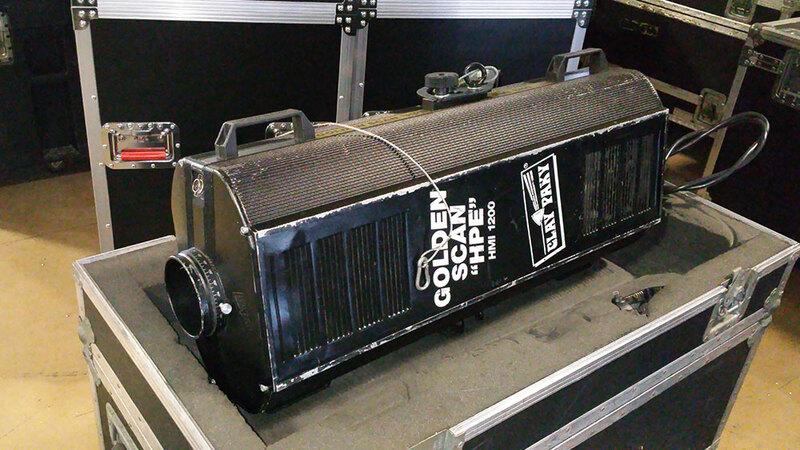 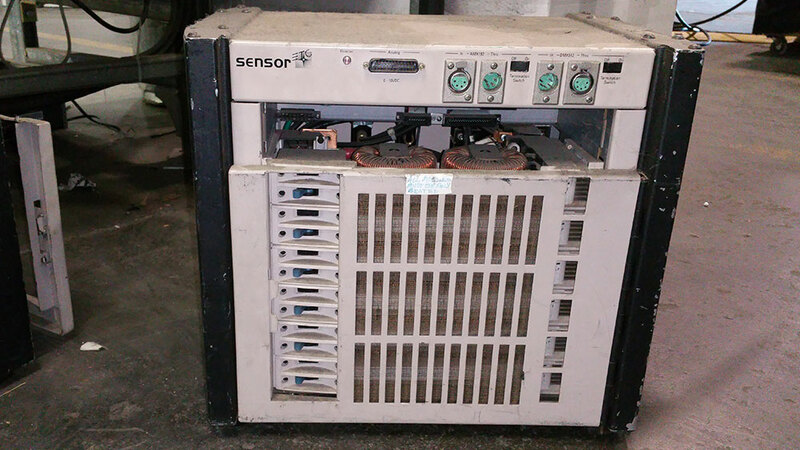 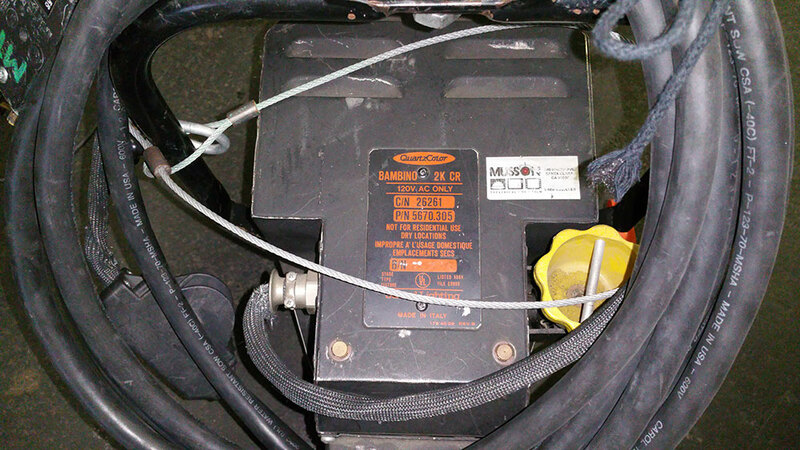 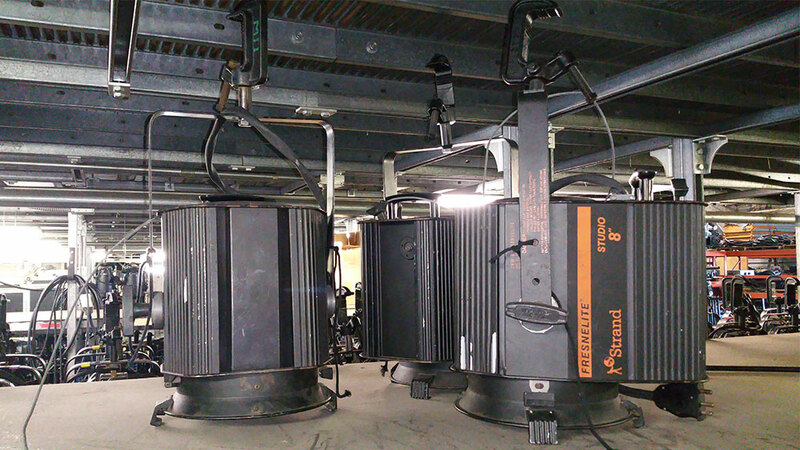 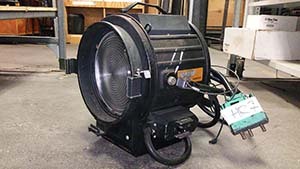 Below is a listing of used products available for purchase from our rental inventory. 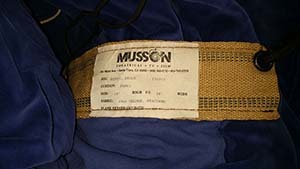 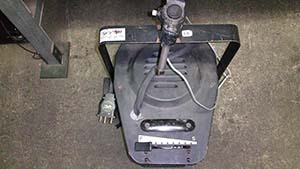 While most of these items have had a healthy working life and are currently working, they are sold in an "as-is" condition. All offers will be considered, but not all pricing is negotiable. 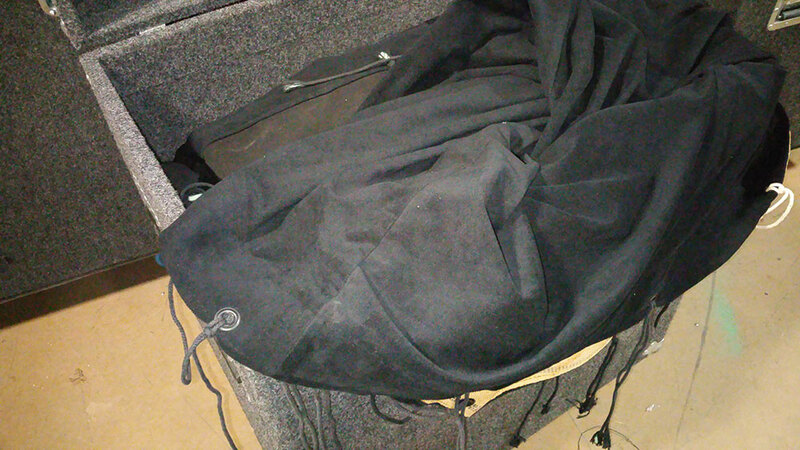 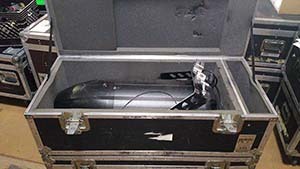 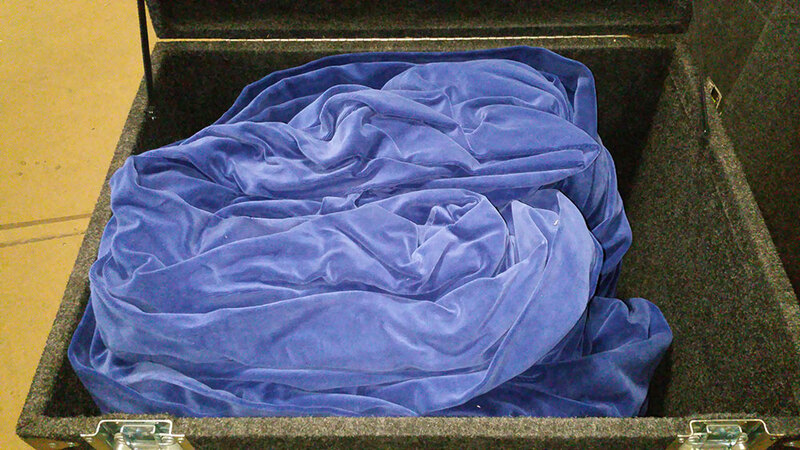 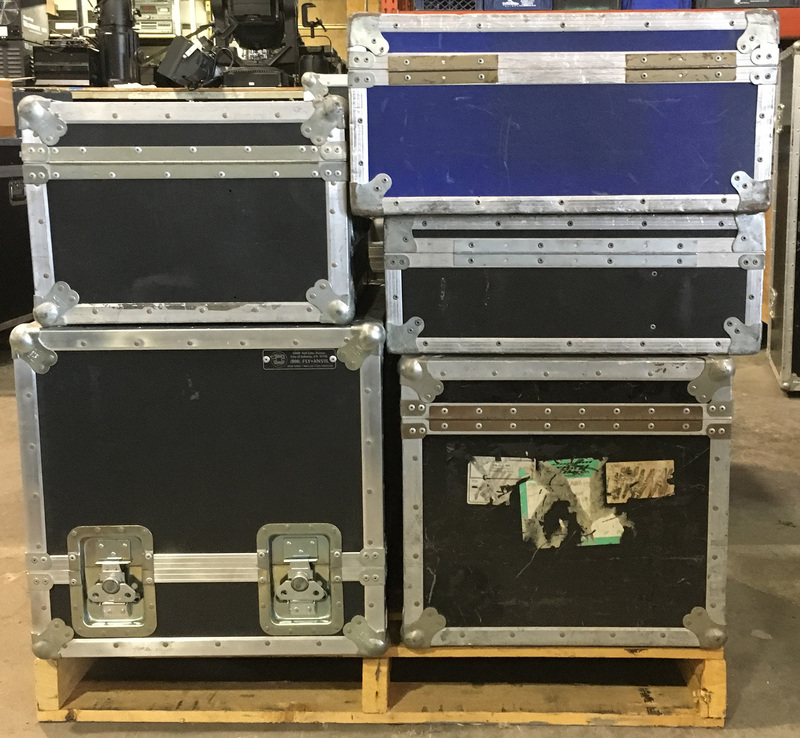 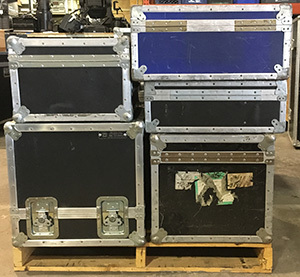 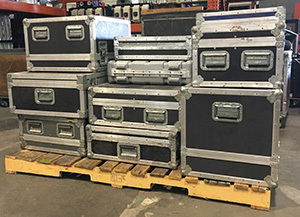 We have a range of road cases we no longer use, a sampling of available cases sizes is below, but contact us if you're looking for something specific! 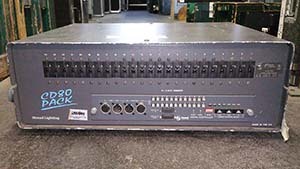 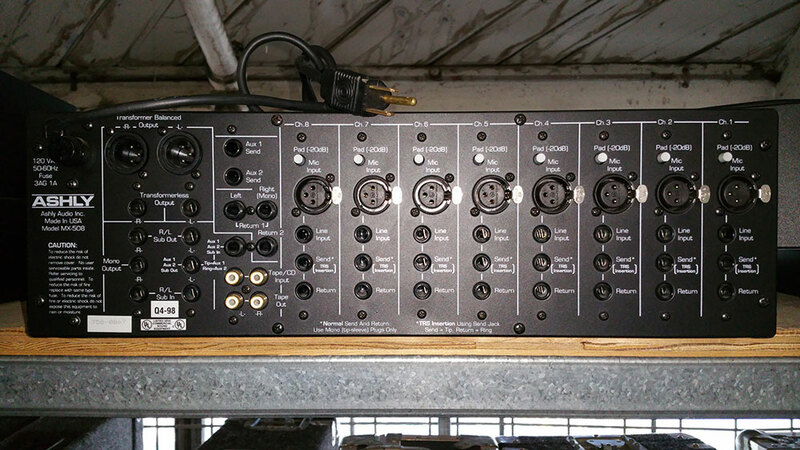 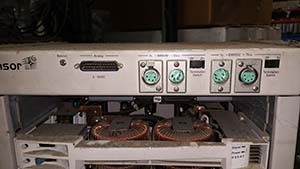 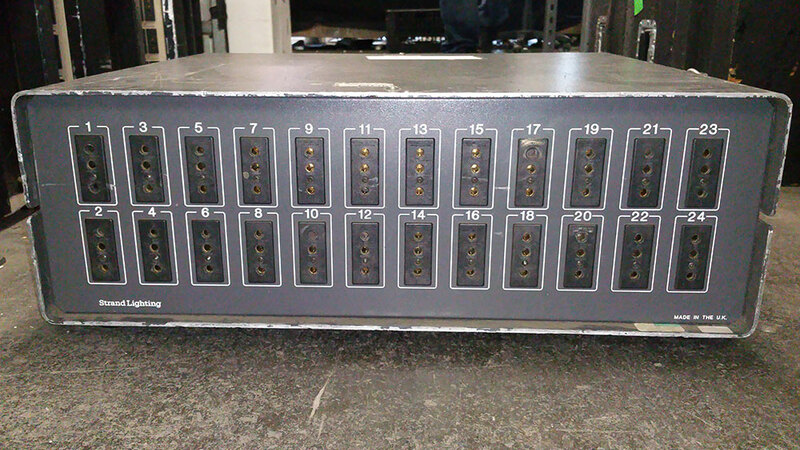 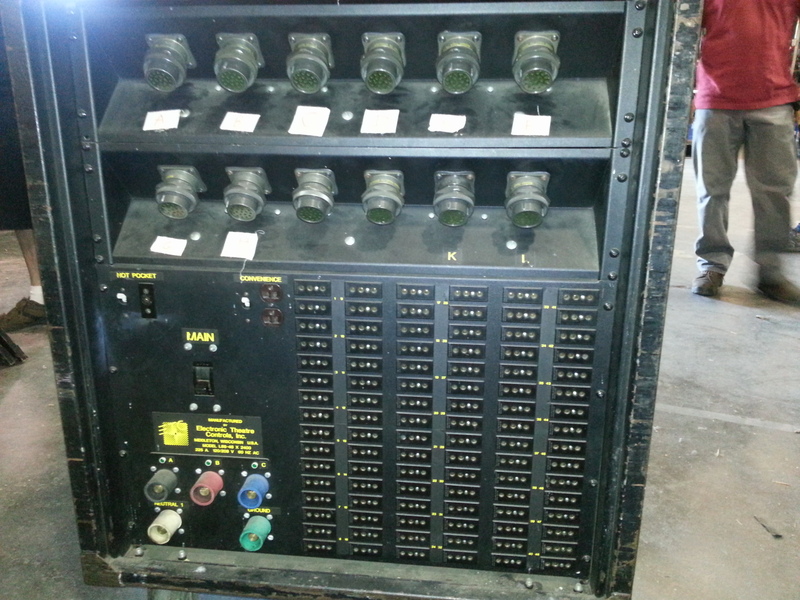 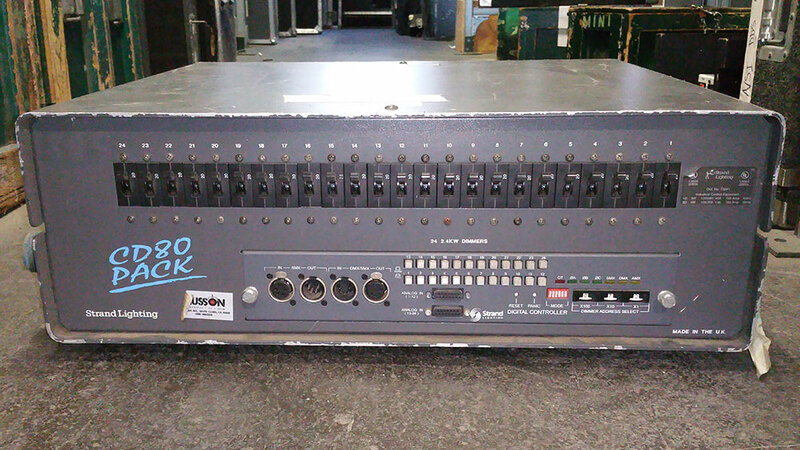 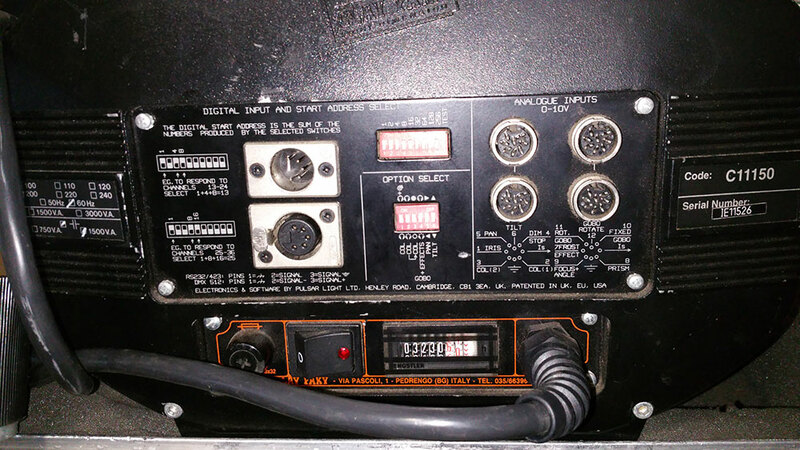 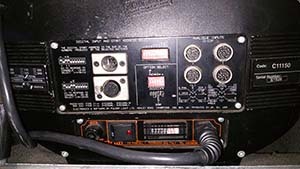 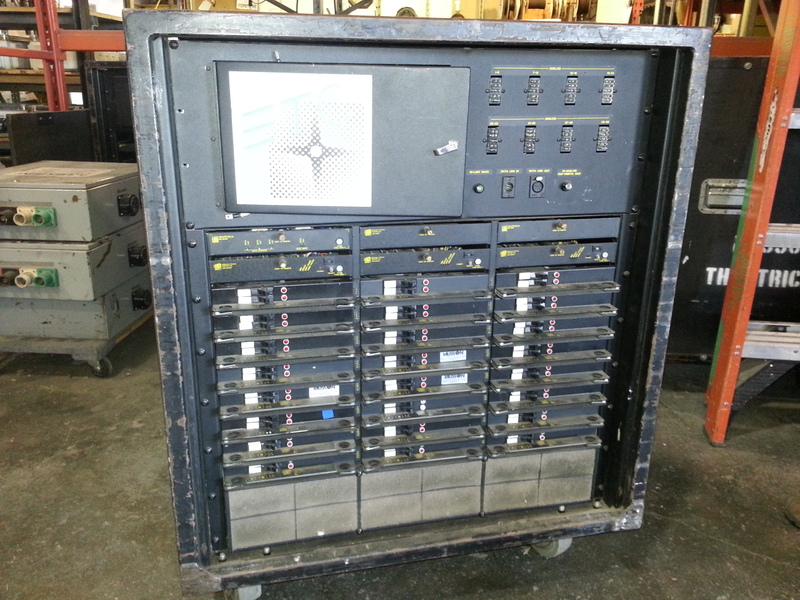 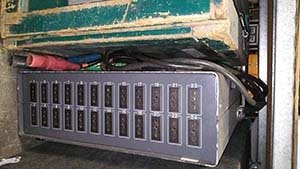 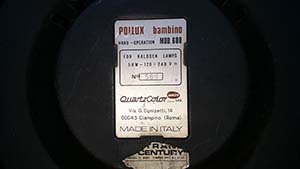 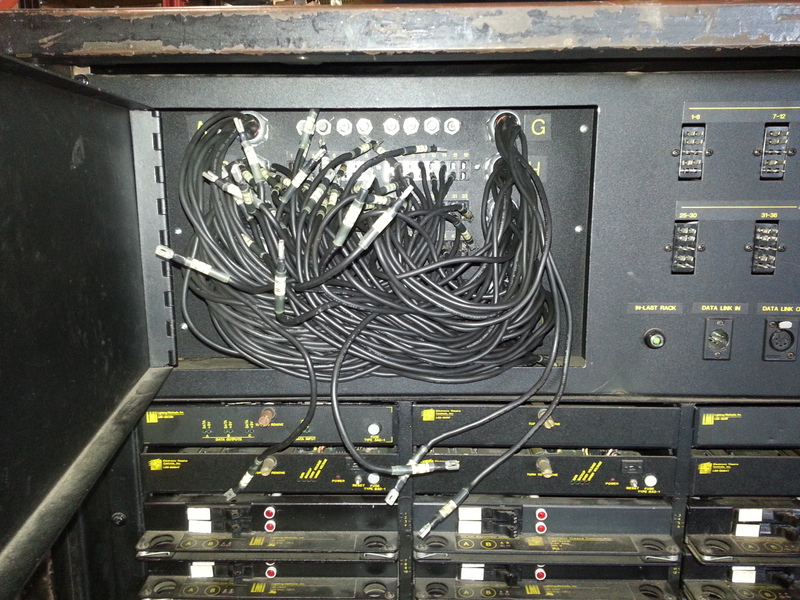 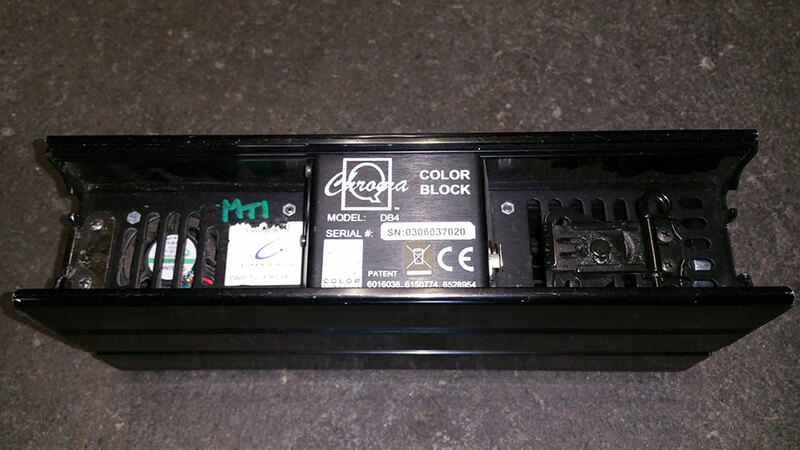 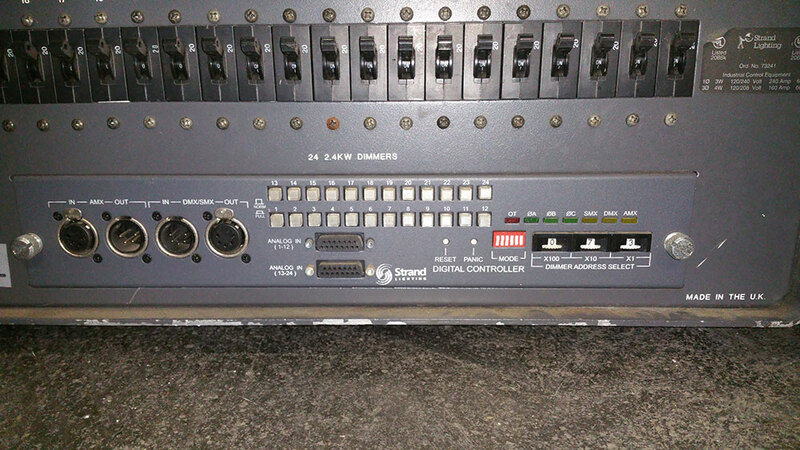 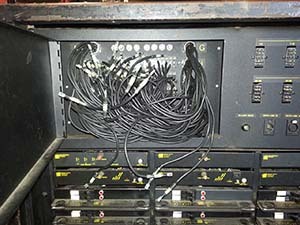 Touring dimmer rack with dual pin output, patch bay, 400A mains with cam-lok input (3 phase 208v), DMX in/out. 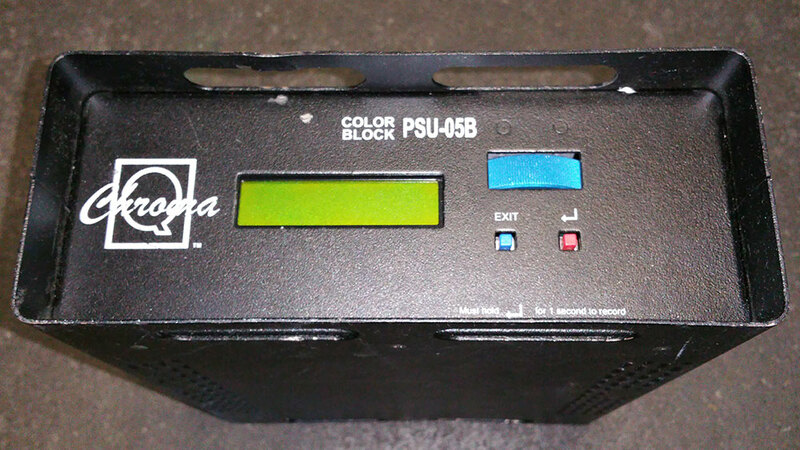 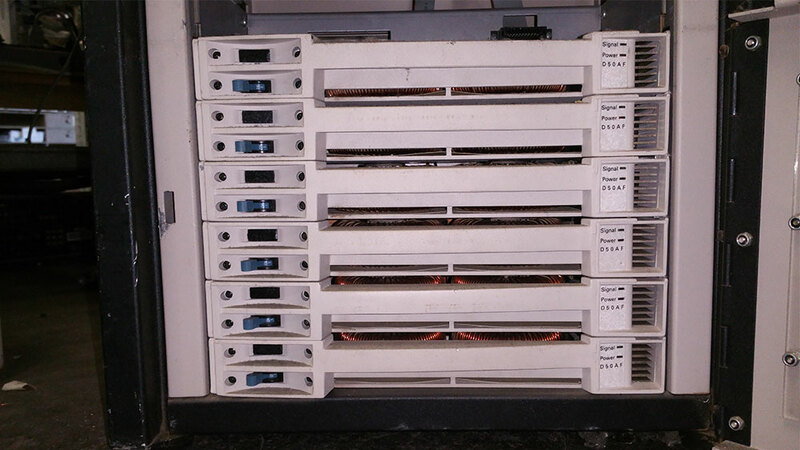 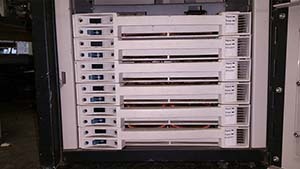 We have two racks available with spare dimmer cards. 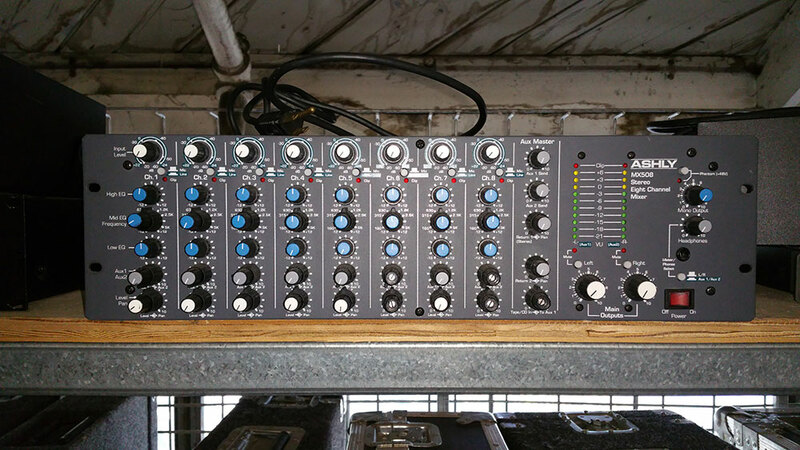 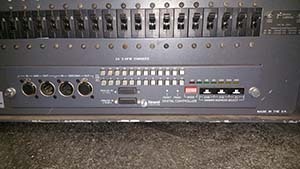 One rack has dual Socapex (6 circuit) Multi Cable inputs and the other has single Pyle National (8 circuit) Multi Cable inputs. 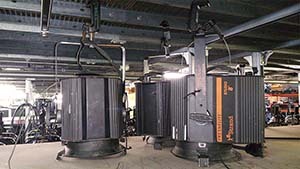 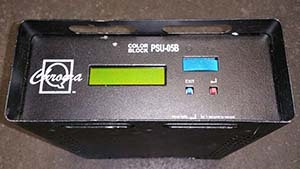 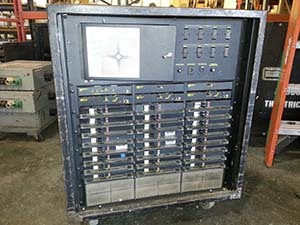 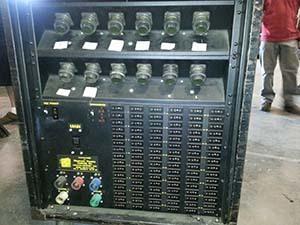 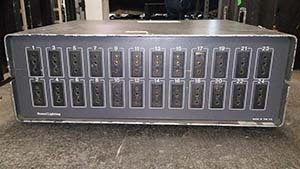 We are willing to sell the Pyle National Multi cables, with fan-outs, along with the dimmer rack for an additional cost. 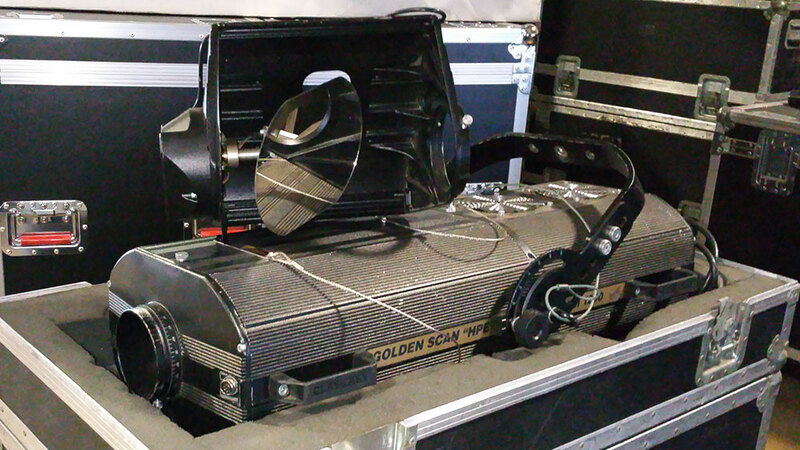 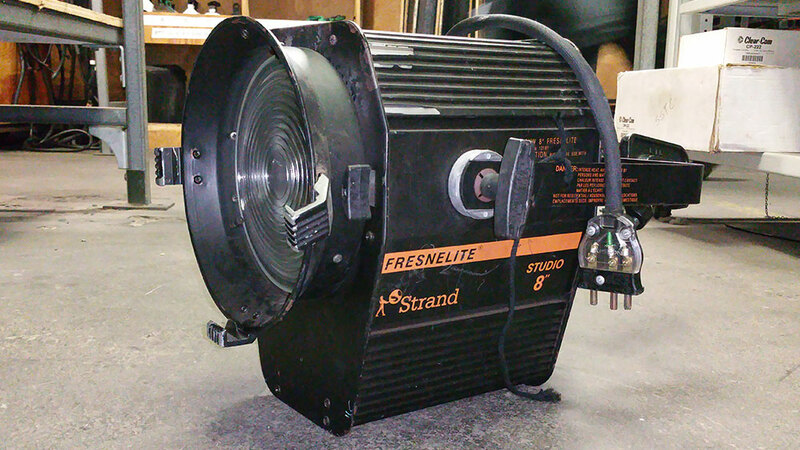 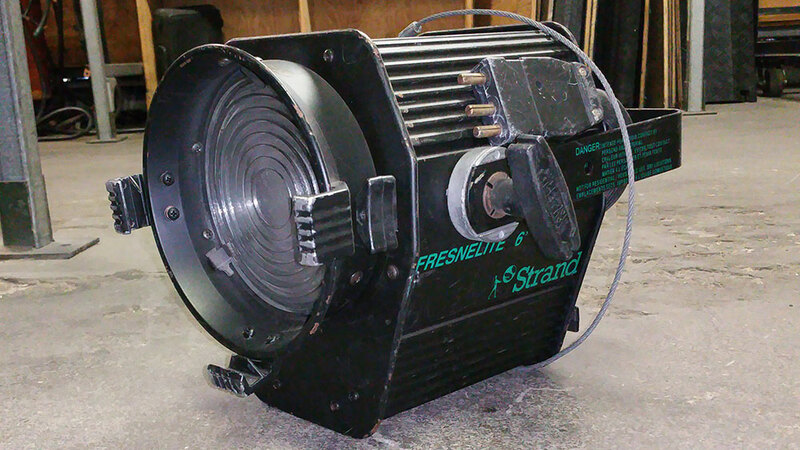 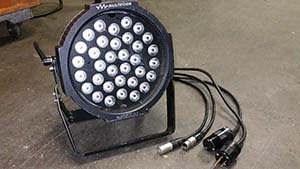 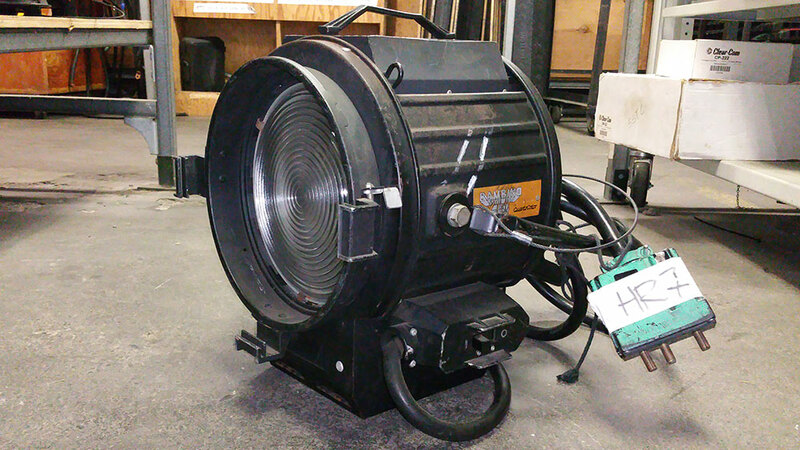 60W LED Moving Light, 7 color, 2x gobo wheel, prism 25lbs. 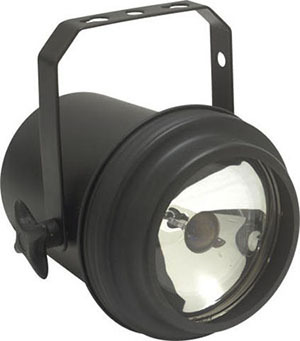 We also have a range of VL1K gear too numerous to list online. 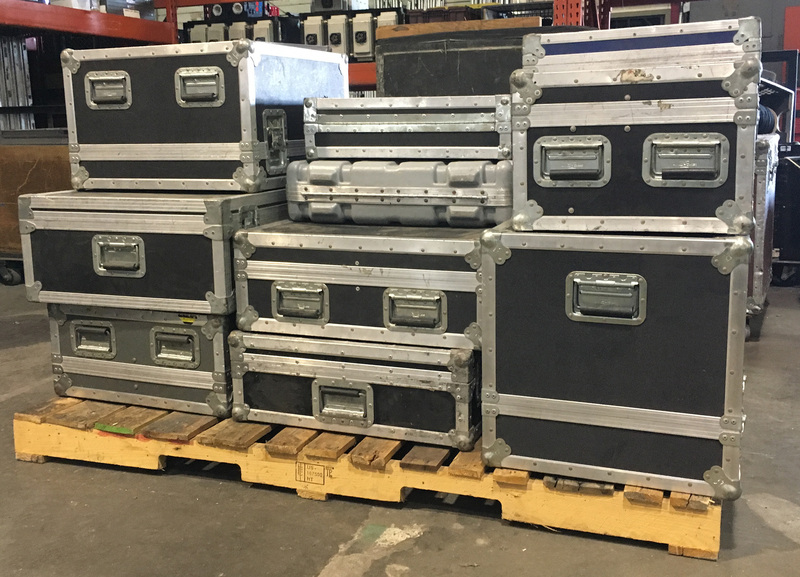 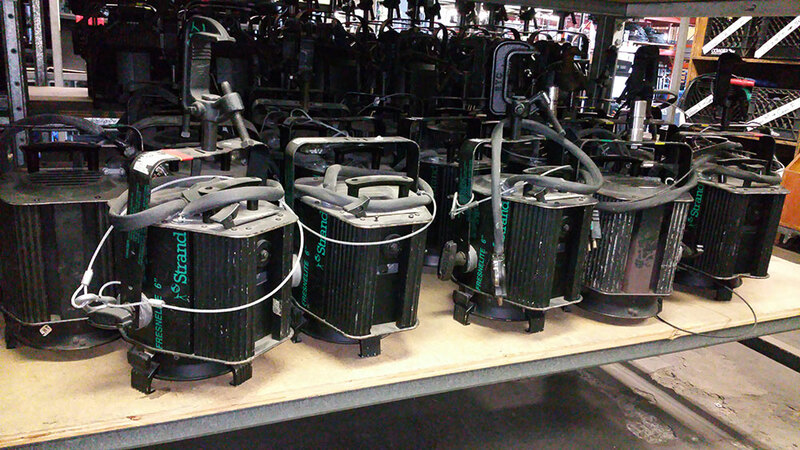 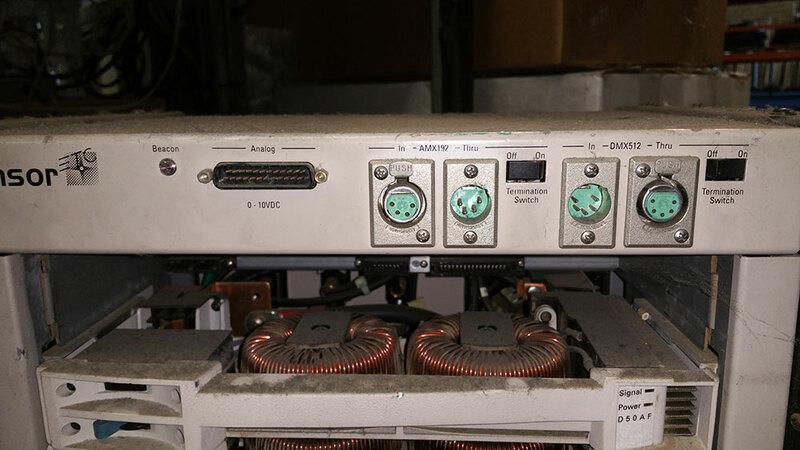 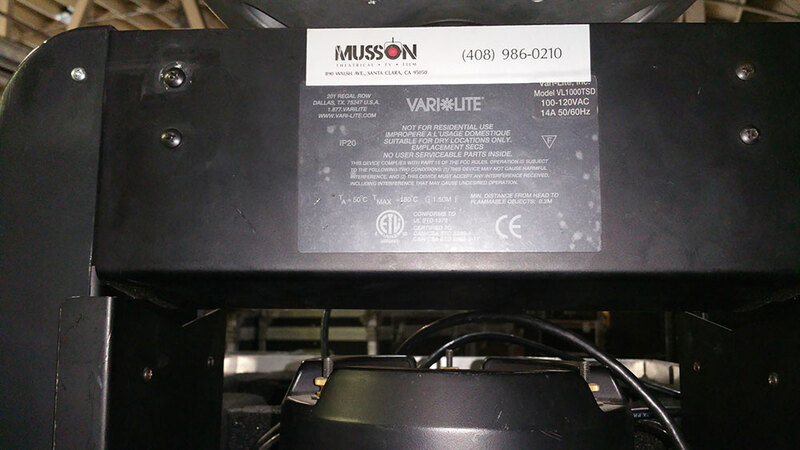 From cases, to parts fixtures, let us know if you're looking for anything VL1K related and we'll search our inventory for you! 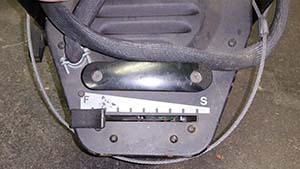 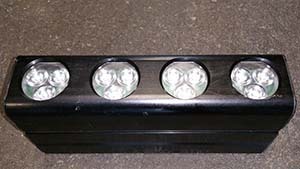 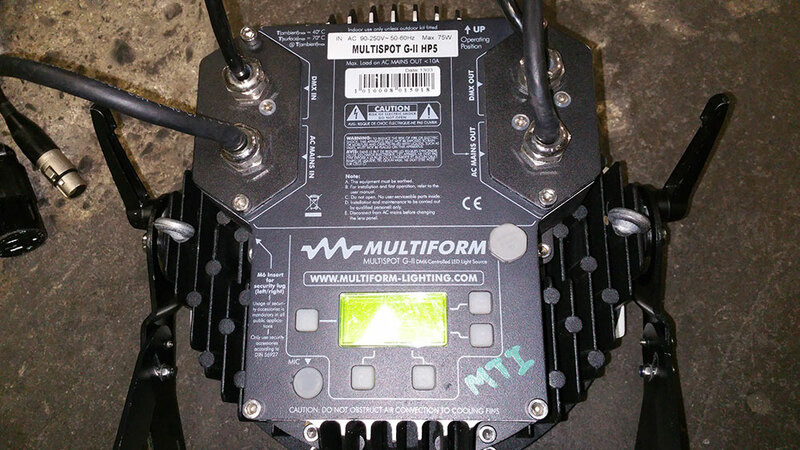 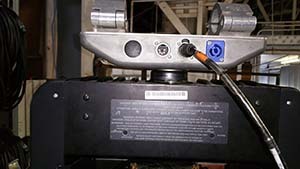 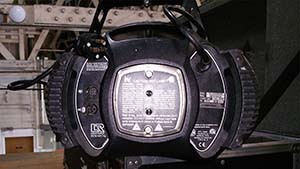 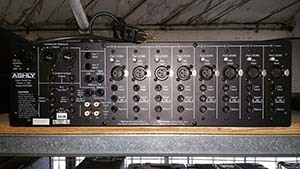 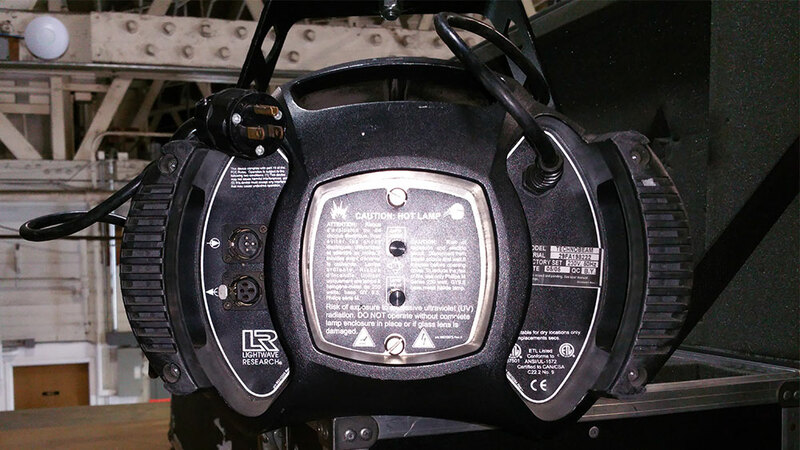 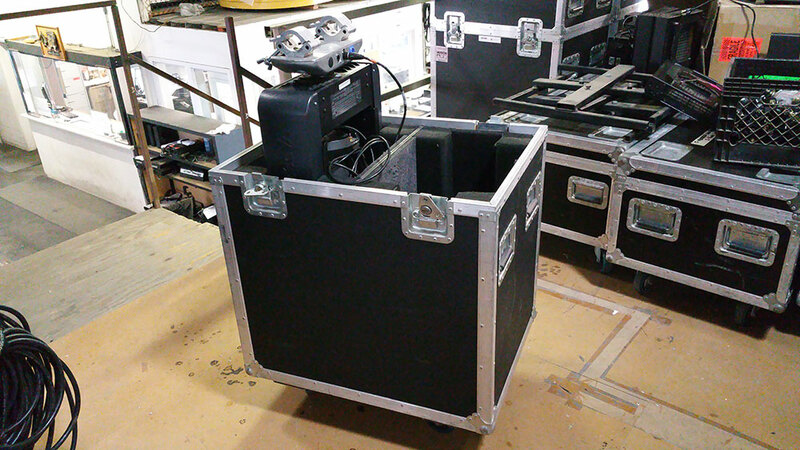 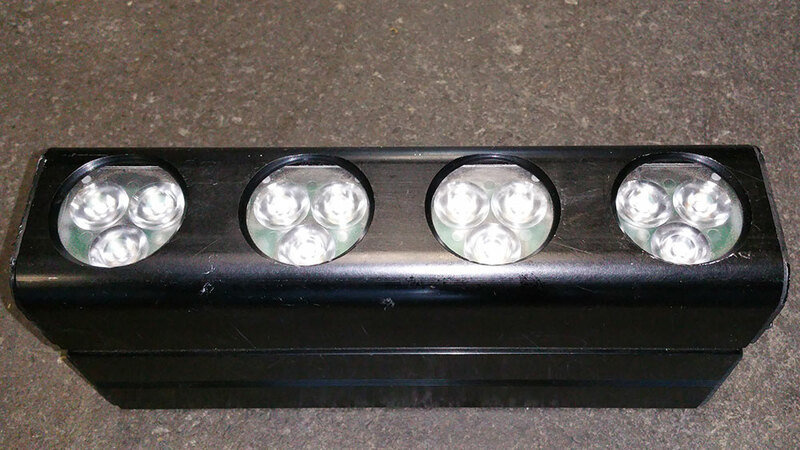 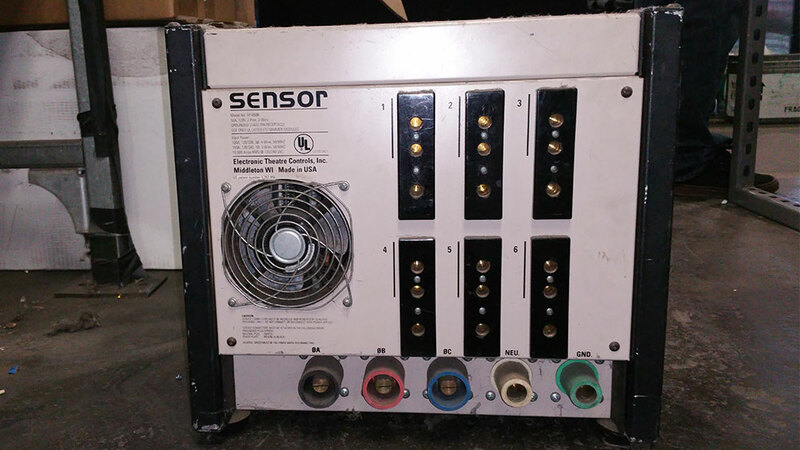 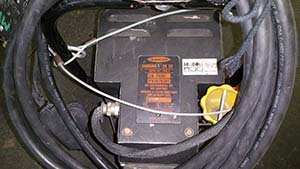 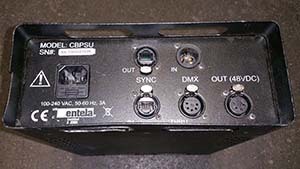 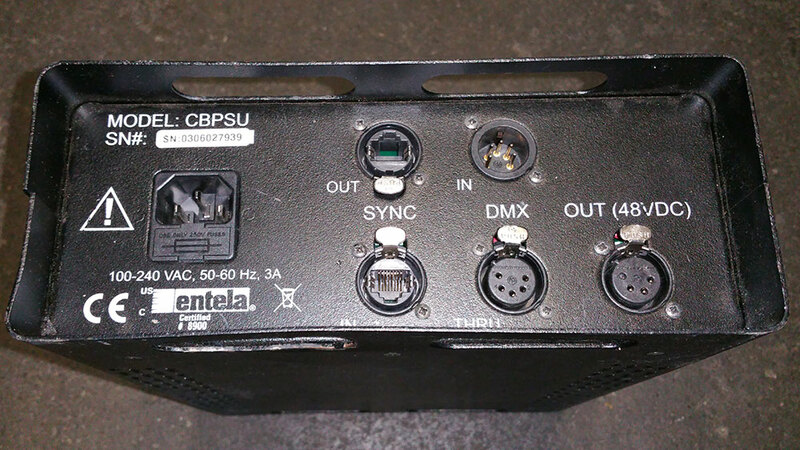 25° beam angle, 5-pin XLR connections for DMX, onboard programs including sound active mode. 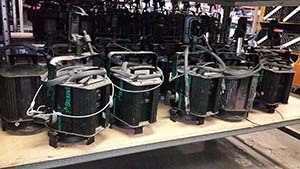 Used scenery hardwalls – many sizes to choose from. Standard construction of 1x3 wood frame, with center supports and ¼" luan front face. 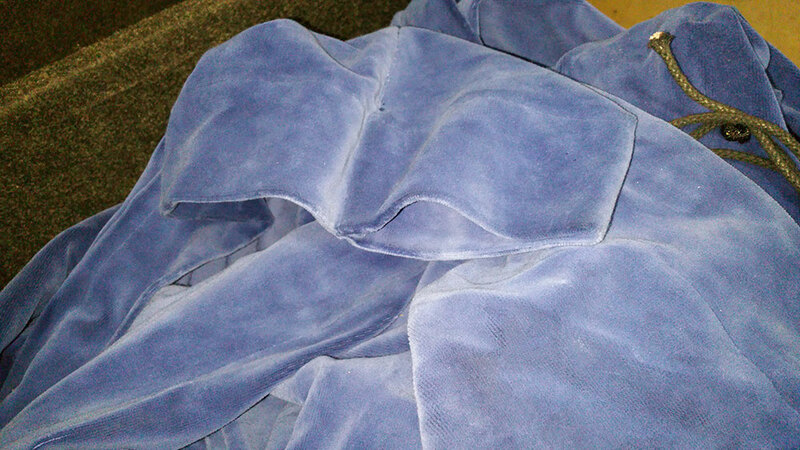 Most are covered in muslin or canvas. 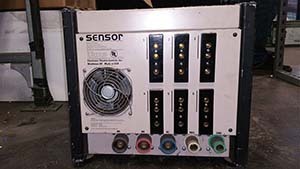 See something you want? 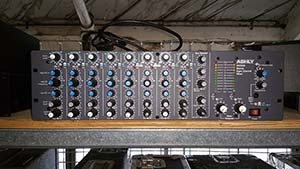 Send us an email! 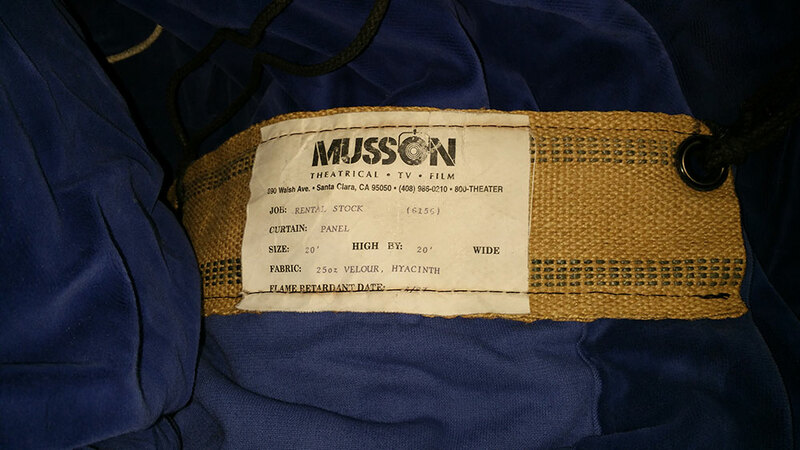 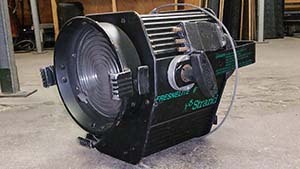 We also have a listing of overstock sales items in like-new condition.